In a world where helicopter parenting seems to be what everyone is doing, I am rapidly running away in the opposite direction. The more I see it, the more I run away from it. And this also applies to multilingualism in our family. A few events and articles I have read over the past few weeks have led me to finally be able to voice what I have always believed in but never really found how to articulate. In a world, where we are told how to use bath time to maximize exposure to English, or how to cost up what your bilingual child will cost you, or how to sacrifice your relationship to help your kids' multilingualism, I want to advocate something else. Don't get me wrong, some of these might be great ideas and we all need little tips here and there to help us out along the way. However, I don't think multilingualism should rule our life. I don't think we should spend every waking hour worrying and thinking about how to make our children multilingual. I am multilingual. My children are too. So what? This is actually the title of an article published by Brynn a few days ago and I couldn't agree more. We are not perfect. But it works. We live our life to the best of our abilities. 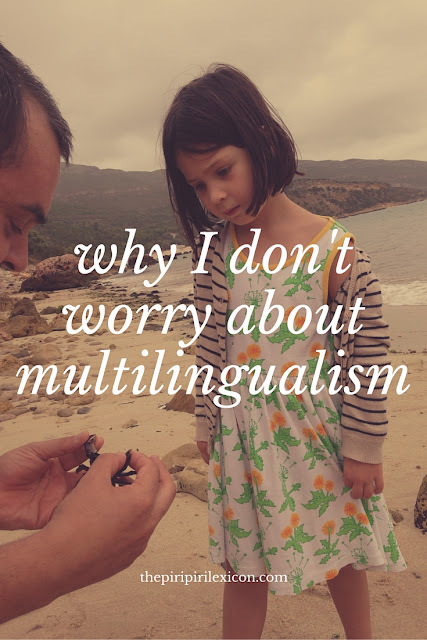 We worry about other things than multilingualism (like baby sleeping through the night or getting a toddler to eat veggies). Because multilingualism comes naturally. We don't over-think it. We hardly plan it. We happen to speak 4 languages on a daily basis. We just cannot function in one language. There is a REAL need to speak more than one. This is not for everyone, of course, but it is our life. I am not saying we are the perfect family with plenty of exposure to 4 languages. We don't get enough exposure in 4 languages, by all means. My children don't get enough Portuguese. My husband travels a lot. The little time he is home, he switches to French more often than not because he is multilingual himself and his relationship with his children is in both languages. 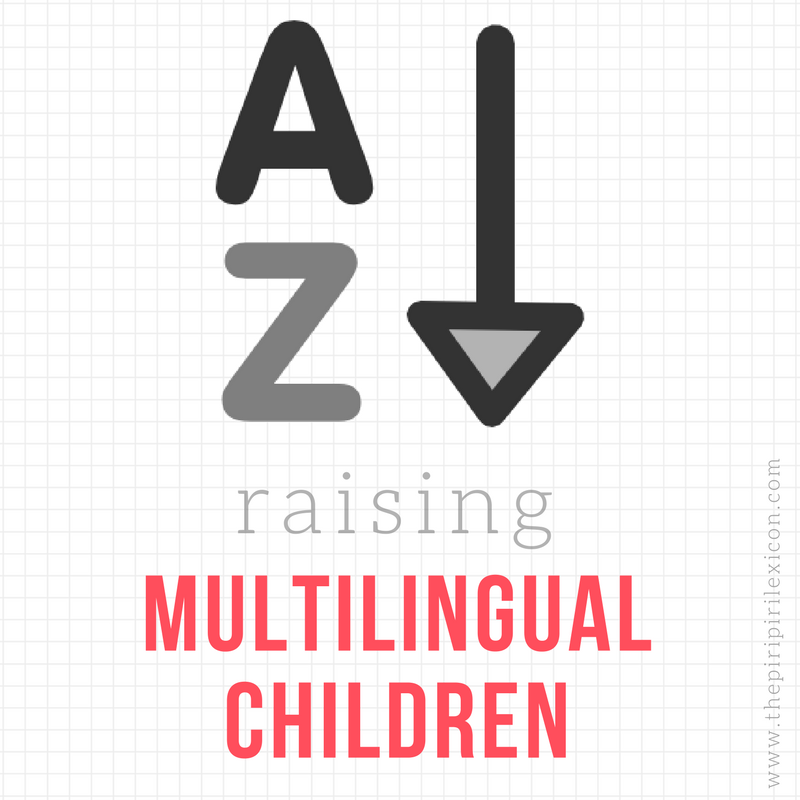 We are multilinguals ourselves why portray a monolingual picture to our kids? In my opinion, if multilingualism is to truly work, it needs to be natural. You cannot force anything. If you impose a language on your kids for whatever reason, it won't work (not in the long run anyway). For me, it is just like forcing your child to learn to play the violin when all they want to do is play football. They might do it to please you but they won't enjoy it and may resent it forever. People sometimes ask me what method we use, how we achieve this. I never know what to reply. We don't use software or follow specific methods. We just live life in 4 languages. Our recent trip to Portugal has just reinforced this for me too. Portuguese is our daughter's weakest language (she is 5). She claims to not understand Portuguese any more. Yet, after 5 days with her cousins, she had mastered quite a few sentences and clearly understood some of the things she heard. I truly believe that if she was thrown at the deep end by herself for a few weeks, she would be back to a decent level of competence in no time. So I have decided not to worry about that language any more. Sure, I will not let my husband slack on his promises to read to them in that language more. I will still search for other Portuguese speakers. But it won't keep me up at night. I may share anecdotes and advice on this blog. I am passionate about the topic and language is a big part of my life (professional and personal). Yet, I don't blog only about language, because there is more to life. Life is too short to worry about language on top of all of our parenting worries. The most important is to enjoy the journey. I really enjoyed this because we live multilingualism in a similar manner. We aren't picky about it nor do we concentrate on teaching the other language etc. We just live in three languages on a regular basis. The kids love to switch back and forth for fun and I just go along with it. Thank you. I am really glad this is working for you. I truly believe this is the way to do it. Thank you. I am so glad many parents are finally voicing this approach.